Construction is complete and buyers have moved in. 10 modern, row-style 2 and 3 bedroom townhomes with attached 2 car garage in floor plans ranging in size between 1,651-2,057 square feet. Each unit also boasts a private courtyard and rooftop terrace with stunning views of the mountains and/or Phoenix skyline. Modern finishes, quartz countertops, concrete and wood-tiled floors, stainless steel appliances, 10′ ceilings and floor-to-ceiling glass sliders. Landscaping and building exteriors will be maintained by the HOA. 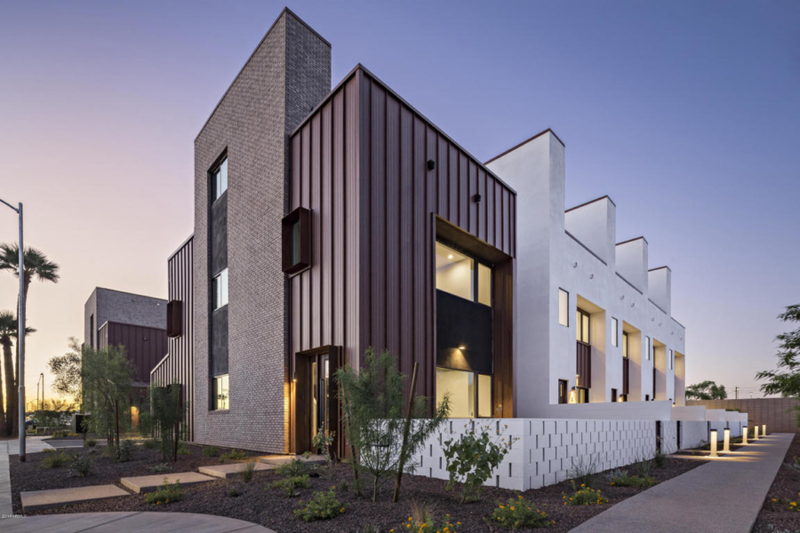 Uptown Row is in the heart of Pierson Place Historic District and steps away from the light rail station at 7th Avenue and Camelback.